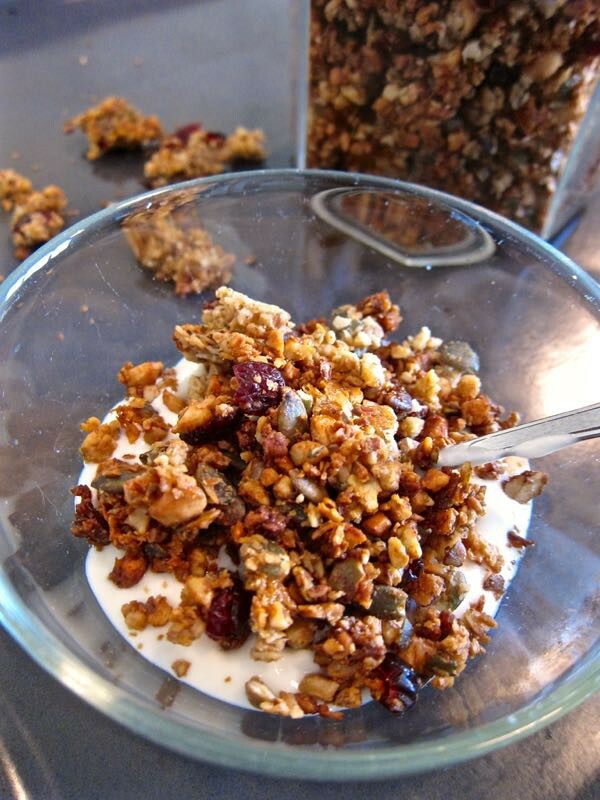 This paleo granola is so super delicious is unbelievable! It is so simple to make and you will want to eat it all at once. 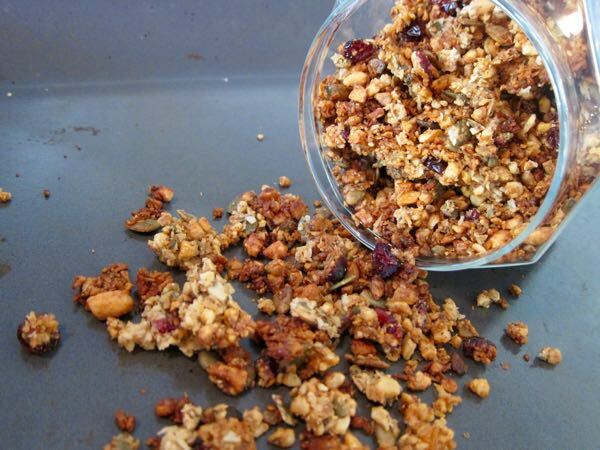 Its got that good crunch, the crunch you really miss while eating paleo. I am currently not eating paleo, just because I ended up having more or less nothing to eat. I made a stir fry for dinner and had maybe a salad for lunch or my granola and soy yoghurt (because I could not find anything else) for breakfast. I decided I needed to widen my paleo recipe knowledge before jumping into it again. Add the walnuts, cashews and pumpkin seeds to a blender and pulse a couple of times to chop them up. Add the coconut oil, honey, vanilla extract, cinnamon and salt to the egg white mix and whisk it together. Add the chopped nuts, shredded coconut and dried cranberries to the mix and stir it together, make sure everything is coated. Spread the mixture evenly on a parchment-lined baking sheet. Bake it for about 20-30 minutes. After about 10 minutes stir once. Keep an eye on it as it can quickly go from golden brown to burned. Take the baking sheet out of the oven and let it cool for about 10 minutes. DO NOT TOUCH IT! After ten minutes you can use a spatula and release the large clusters. Let it cool completely and store it in a sealable glass jar. Enjoy this deliciousness! Try not to eat it all at once.